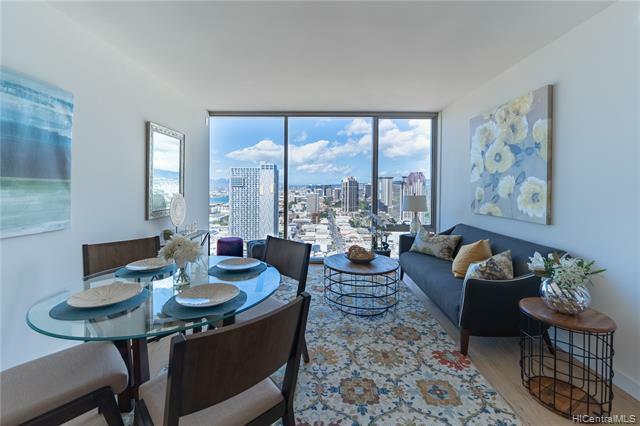 Beautiful one bed, one bath home with STORAGE room in Aeo, the latest addition to Ward Village and a brand new condo featuring the best of urban lifestyle in the heart of Kakaako with direct access to Whole Foods market. 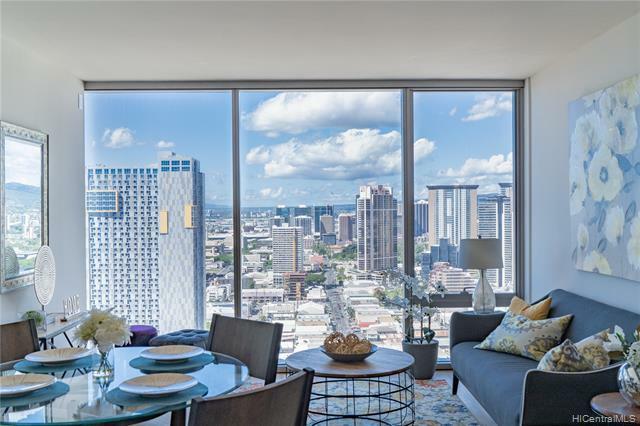 This must-see unit comes with premium Bosch stainless steel appliances, spacious bathroom with linen closet, hardwood floor, and floor-to-ceiling windows showcasing mountain and sunset views. Unit also comes with a full size washer and dryer in the unit and one parking stall. 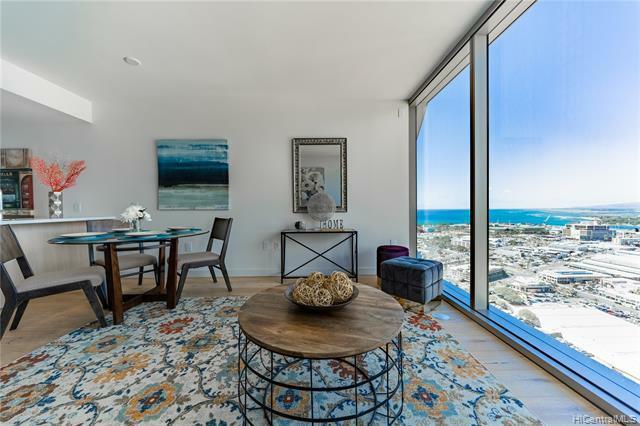 This home features resort-like amenities such as a concierge, rooftop terrace, lap pool, fitness center, theater, childrens play area, guest suites, outdoor barbecue and dining cabanas, dog-run area, and more. 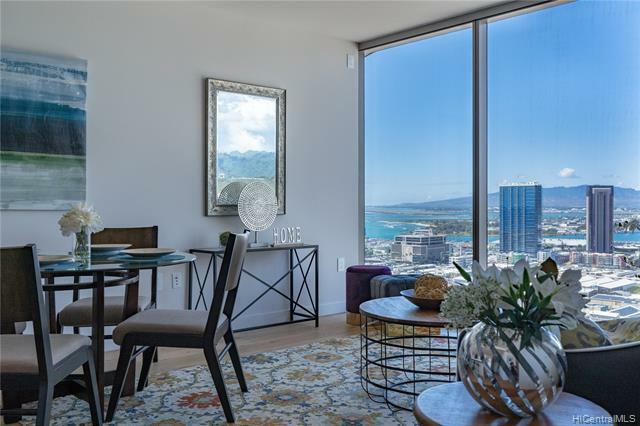 Centrally located and within walking distance to theaters, dining, and world-class shopping at Ala Moana Shopping Center.